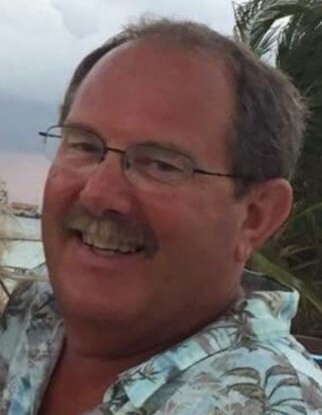 Kenneth "Ken" Marlowe,62, of Kennerdell passed away March 21, 2019, peacefully at home surrounded by his family after his battle with cancer. Ken was born November 8, 1956 in New Kensington he was the son of the late Paul A. and Louise A. Akins Marlowe. Ken graduated from Springdale High School in 1974. Ken married Margo McMillen on October 31, 1987, they celebrated 31 years of marriage and together the couple has four children. Ken worked in Kennerdell with his father Paul for 24 years at Marlowe Excavating before branching off and owning and operating Ken Marlowe Excavating. Most recently Ken worked for Thomas Construction in Grove City as a heavy equipment operator. Margo and Ken owned and operated Marlowe Campground in Kennerdell also for the past 24 years. Ken and Margo have enjoyed many trips to Mexico over the years with their friends, Ken always being the life of the party. The last five years Ken and his buddies of 965 racing have loved to take off on the weekends and race. Ken and Margo loved riding trails on their side by side. He looked forward to his weekly golf outings with the Grove City Golf League. Ken was a member of the Grove City Eagles. Ken was a through and through Pittsburgh Steelers Fan, having season tickets and rarely missing any home games. His children and family where the most important aspect of his life, always making sure they were taken care of and that they were ok. Caleb, his grandson or Buddy Boy as Ken called him brought him pure happiness and joy. Ken's door was always open to anyone that needed anything and often was home to many extra kids through the years. Loved ones left to cherish Ken's memory is his wife Margo Marlowe of Kennerdell, his children; Dana L. Marlowe , Daniel K. Marlowe , Megan J. Marlowe ,and Donald P. Marlowe all of Kennerdell , grandson Caleb Edward of Kennerdell. Ken's sister Cynthia "Cindy" Dallas of Kennerdell, his niece Laura H. Dallas and nephew Robert P. Dallas of Kennerdell. Ken is preceded in death by his parents Paul and Louise and his son Edward Marlowe who passed away on April 15, 1988, and his grandparents George and Helen Colango. Family will receive friends at the Larry E. McKinley Funeral Home, 109 Emlenton Street, Clintonville on Sunday, March 24, 2019 from 2-4 and 6-8.